You know those moments in life where you look around and realize that everything is excellent? Well last weekend I had quite a few of them thanks to the amazing landscape that is the Lake District. 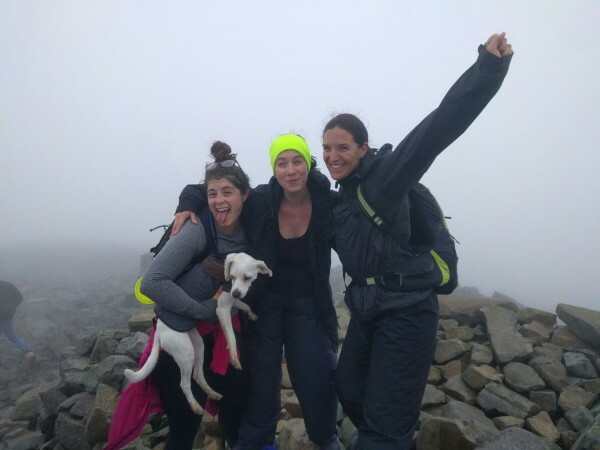 I ventured way up north from London to climb Scafell Pike, the highest mountain in England to help one of my oldest friends, Cat, train for her 3 Peaks challenge. She’s raising money for Great Ormond Street Hospital so give her a hand and donate here if you fancy. After a 10 hour drive on the hottest afternoon ever (true fact) we arrived at our little pub/hotel which was in a village with one other house. That was it. No phone reception, nothing. Bliss. 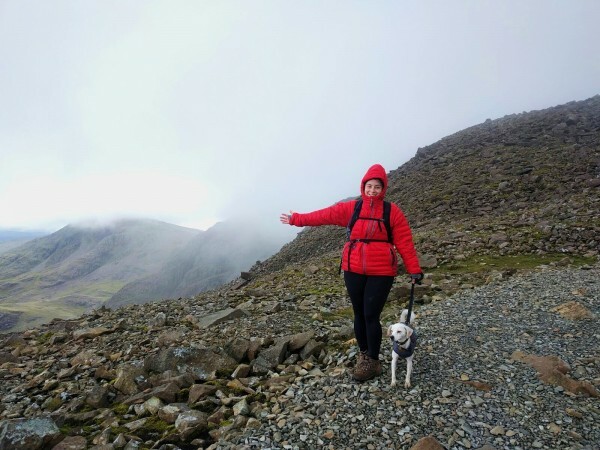 After a good night’s sleep and a massive breakfast we left for the short drive to the base of Scafell Pike. Being keen beans we were walking by 10am which gave us a smug sense of satisfaction being able to saunter downhill past all the poor sods trudging upwards at 2pm. 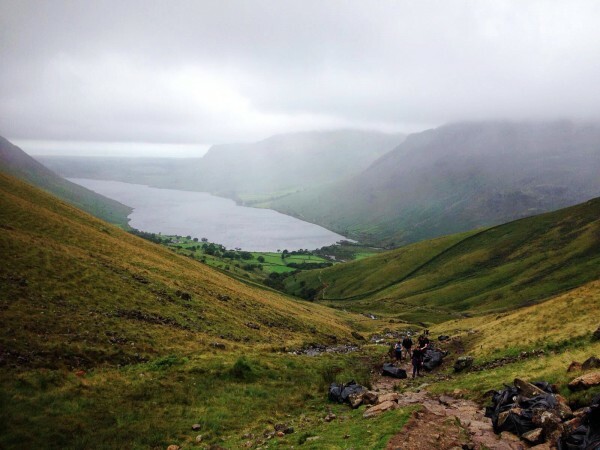 Scafell Pike is the lowest of the 3 Peaks in the challenge (the others being Ben Nevis in Scotland and Snowdon in Wales) but is known to be the hardest due to the terrain. For 3 hours we walked up without any real flat sections for respite. Most of the uphill sections are made of rough stone steps which after even just 30 minutes was burning into the legs. We kept going, fuelled by sweets and laughter until we finally reached the top. Despite it being a whiteout at the top and not being able to see further than 2 metres we celebrated, felt like superwomen, ate a lot of food and set off on the downhill section. I just want to mention at this point how proud I was of my little pup Pip who soldiered all the way to the top without having to be carried (apart from over the river at the beginning). She was full of beans the whole way with a wagging tail. Sometimes I wish I had 4 legs instead of 2. 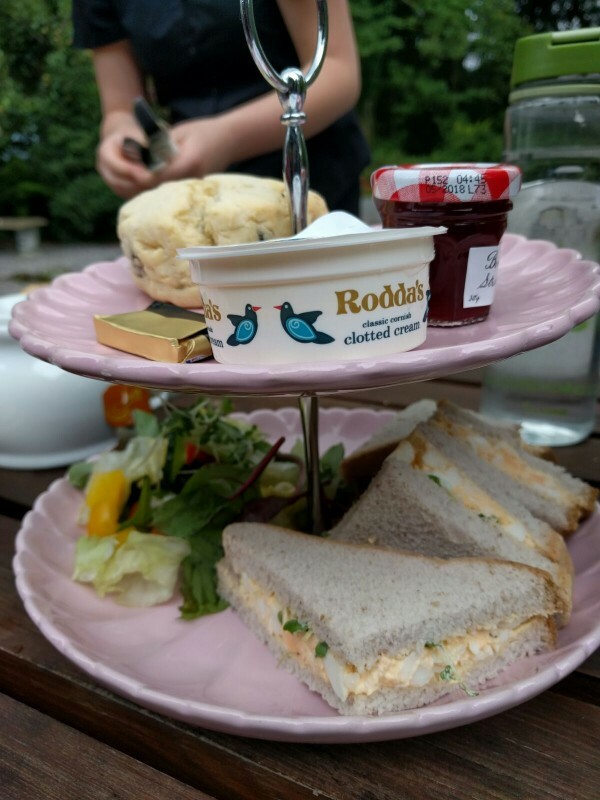 The downhill section was definitely more pleasant despite being murder on the quads, especially as we knew that we were walking towards a right good cream tea. 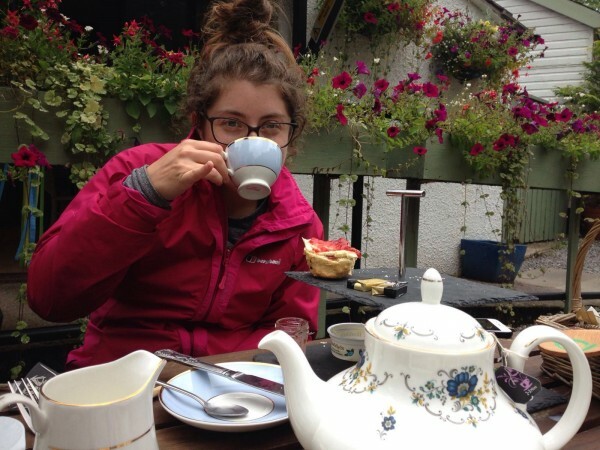 Once we were down and devouring said cream tea we reflected on the achievement and felt even more proud that we’d scaled the highest mountain in England whilst laughing the whole way.